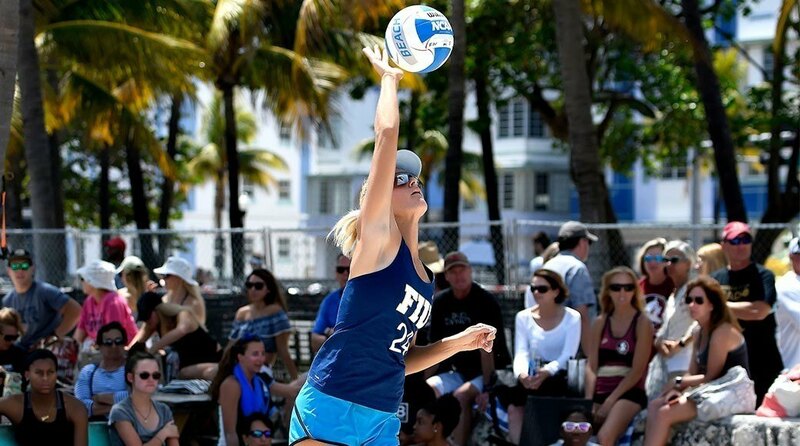 This week’s AVCA beach top-15 poll has one big shake up with FIU sneaking into the top-10 and Stetson dropping off four spots. After posting wins against two top-10 teams over the weekend, previously ranked #14 FIU is now tied for 10th with Grand Canyon, who they were able to take down 4-1. Their other top-10 victory came against then-#9 Stetson 3-2. They were able to move up, despite two dropped matches on the weekend – them coming to top-five teams and coming close to taking each of the matches over #4 Florida State and #3 Pepperdine. Stetson had a tough week, only winning to Florida Gulf Coast twice, while dropping matches to then-#2 Pepperdine, FIU and Grand Canyon. The losses brought the team from the #9 position to #13. Georgia State moved up one position to #9, while TCU fell to #14. In top-five shake ups, UCLA now takes over as the definitive #2 slot, while Long Beach State jumps ahead of Hawaii for the #5 ranking. Others receiving votes: Saint Mary’s, Arizona State, Loyola Marymount, California, Stanford, Mercer, San Jose State, Coastal Carolina, Cal Poly, Pacific, Washington.